Atari Space introduces another new space action blockbuster. A new concept that challenges on or two players to compete with themselves or against an opponent for highest scores. 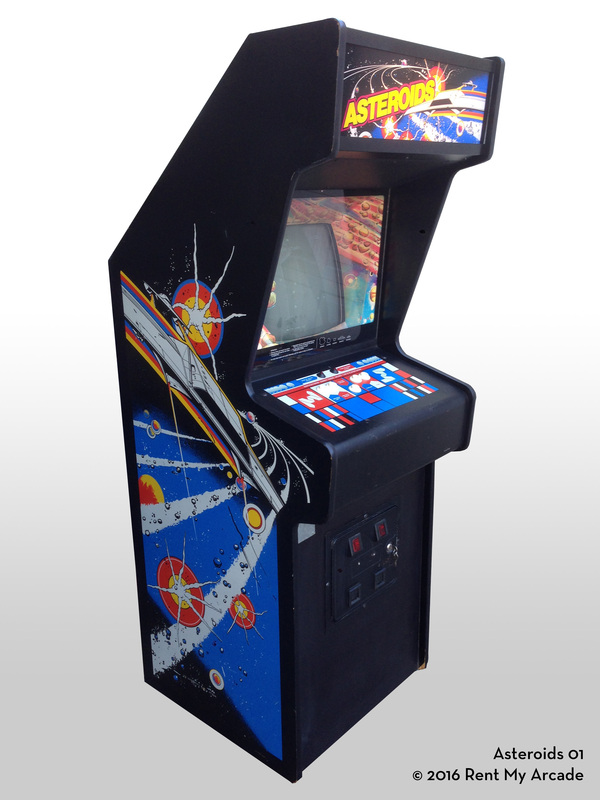 Asteroids is easy to learn but hard to master. Players start with either three or four ships. The object of the game is to maneuver a spacecraft quickly enough to blast and destroy streams of asteroids and computer-controlled enemy saucers - before they can destroy the player's ship. A direct hit on a large asteroid breaks it into two still smaller asteroids, a final hit on a small asteroid destroys it completely. When the number of asteroids is minimal, a saucer will enter. As the game progresses more enemy saucers will appear more frequently. Large saucers shoot in random directions. Small spacecraft will zero in on player's craft. When all asteroids have been destroyed, a new cluster of large asteroids will appear. Push-button controls are provided for rotation left or right, "thrust" and "fire" control. Activation of the "Hyperspace" button causes the spacecraft to go off screen and reappear at random in a different area. Hyperspace is risky however because of a hight probability of destruction upon reentry. H: 71.87", W: 25.25", D: 32"